Where some see the misshapen, the blemished or the unfinished, savvy entrepreneurs sense opportunity. It isn't easy, but some have created successful brands by repurposing imperfect products or services. Some have even carved out a sideline business with misshapen manufactured goods instead of ditching them with a piece of their profit margin. Here are four businesses that can help inspire you to rethink where your next revenues could come from. At Used Cardboard Boxes, truckloads of "rescued" boxes (once used by large companies that planned to recycle or toss them in the garbage) are very much prized. Regional distribution centers inspect and sort each one before reselling them as cheaper, more eco-friendly alternatives than traditional boxes. 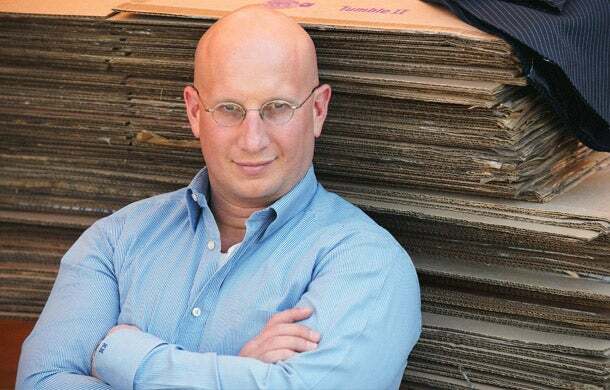 Marty Metro, the chief executive officer of Used Cardboard Boxes, came up with the venture's concept after he began buying and selling old boxes in his neighborhood 11 years ago because he figured people would want to get rid of them once they moved. Accidental Wine buys the remaining blemished, but otherwise undamaged, bottles and resell the contents over the Internet for about half the price. Years ago, the father-and-son-and-daughter team David, Micah and Kelly Forbes frequented a chocolate maker who also happened to sell perfectly fine tasting wines discounted by as much as 50 percent. Why? Because the labels on the bottles featured scratches, typos or had otherwise become dirty after sitting in a case next to a shattered neighbor. When the owner of the candy factory got out of the sweets business, the Forbes family asked him to team up with them and another partner to seize a new opportunity, The Accidental Wine Company. This Los Angeles-based e-commerce business started in 2007 to offer wineries and distributors a channel for blemished bottles or vintages that must be sold before new inventory hits the market. But to avoid annoying their suppliers (and risk getting their own stock cut off themselves), the company has tried to remain discreet about how much it discounts bottles of vino for the public. 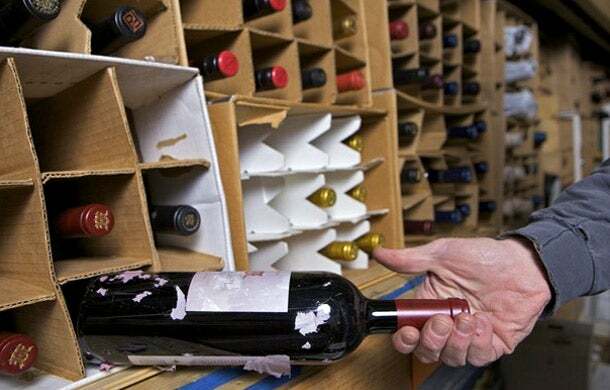 That means making it difficult to find the retail prices of wine in a general Web search, says David, the company's chief executive officer who notes they rely heavily on e-mail blasts and drawing visitors to their site for sharing exact price information. "The distributors and wineries are not embarrassed to have sold us the wine cheaper than they sell most of their customers." Unused products are one thing, service-based businesses can also be challenging. Bruce Carlson is giving it a go through the IP Factory, a consultancy that he launched two years ago after he left his job at the University of Connecticut's technology transfer center, where he helped commercialize the school's research. His firm now caters to companies that have started a project or acquired a patent but then stopped from fully pursuing it. The IP Factory then links up with mentors, graduate students and entrepreneurs who help commercialize the concept and take it into new markets. So far, Carlson says, four projects are in various stages of commercialization. "I'm looking at ideas that are started but not pursued--and are a gold mine for entrepreneurs," says Carlson. 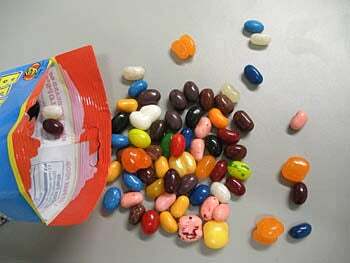 Not every jelly bean is perfect, and a small fraction of Jelly Belly beans come out square shaped, missing the corporate logo or tasting like chocolate despite their color. In the 1990s, Jelly Belly started saving its irregularly shaped sweets and selling them at half-price within its tour center in California. But as popularity for the randomly packed goodies grew, the confectionery also began selling them online and in retail channels such as dollar stores. "For the longest time it wasn't even something we talked about," says Tomi Holt, a Jelly Belly spokeswoman. "The retail environment has been changing in the last 20 years, and as more non-traditional candy retailers would take in candy there were certainly other opportunities." Sales of the Belly Flops have been strong enough that Jelly Belly, which is privately held and won't disclose financials, has also rolled out a separate product called Hodgepodge, a collection of warped sweets like candy corn, gummi bears, fruit gems and neon inchworms. While sales have increased since Hodgepodge launched about eight years ago, there's only a small percentage of candies that fail to meet manufacturing standards, limiting how much can actually be sold. And, thanks to a growing secondary marketplace online, not all of the profits from misshapen candy end up going to Jelly Belly's coffers: "Every once in a while," says Holt, "you'll find a funny shaped one on eBay."